You are currently browsing the tag archive for the ‘listening’ tag. While vacationing in an Alpine village, Elizabeth Tova Bailey, a seasoned nonfiction writer, contracted a pathogen that altered the entire course of her life – a systemic paralysis-like weakness with life-threatening complications. She was 34 years old. A dear friend potted a bunch of wild violets from her yard, then placed it upon the crate used by Elizabeth’s missionary grandparents. From her bed, she marveled at this gift, until overcome by sleep. The following morning, Elizabeth noted square puncture holes in postcards propped against her lamp; beneath the leaves of the violets, a woodland snail. Immediately, its nutritional needs claimed her full attention. She offered a decaying flower petal from an arrangement on the crate. It worked. Later came Portobello mushrooms. Days, the mollusk slept; nights, it foraged for food and explored the limits of its potted world, and later, the terrarium Elizabeth had friends arrange. 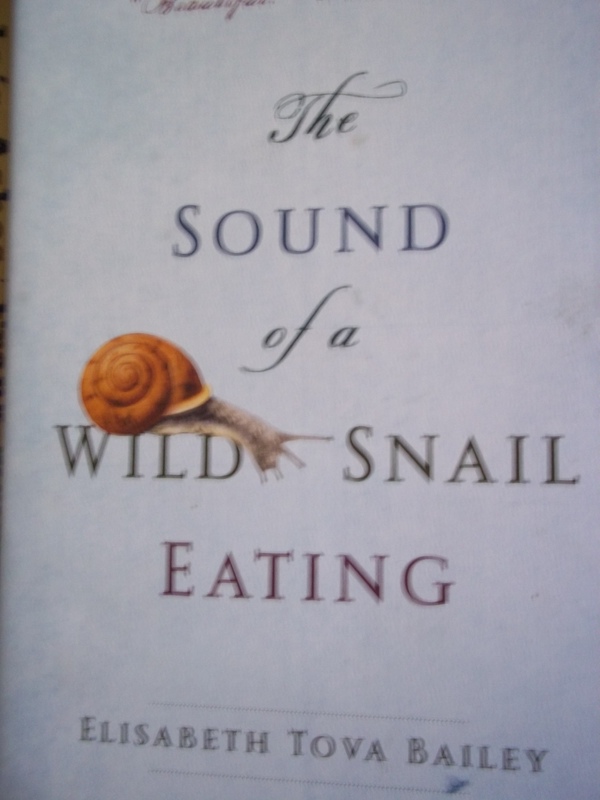 Thus began a two-decades long fascination of wild snails, fueled by her study of physicians, botanists, naturalists, and writers from three centuries – books propped against pillows in her bed. Elizabeth Tova Bailey has much to teach us.